Price chart includes 1 color imprint on the case, wallet and power bank. 3 setup charges apply. Product Details: This kit is the perfect smartphone accessory set. Zippered hard EVA case comes packed with a USB car charger, smartphone wallet, earbuds, micro USB cable, and a 4000 mAh power bank. Mix and match colors! 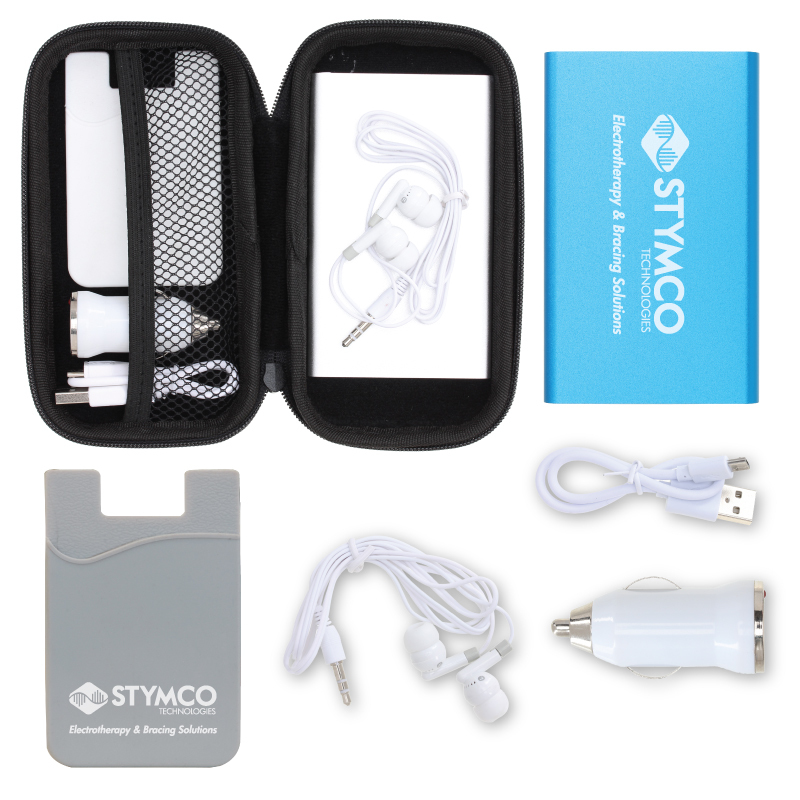 The case CA2107 includes our charger CA108, earbuds CA114, silicone wallet CA401, micro USB cable, 4000 mAh power bank CA3109, and decoration on the case, wallet, and power bank. Item Size: 6" x 3 1/2"
Pricing: Price chart includes 1 color imprint on the case, wallet and power bank. 3 setup charges apply.